Most of the letters in the collection from the early 1940’s were addressed to the folks at home. A few, such as this one to Lester’s younger brother, answered specific letters written to him. His posts were frequent enough, I have to think he was very quick about answering letters. He kept his loved ones reassured that all was well with him in Michigan. Interestingly, in this letter Lester mentions a typewriter which was available for use at the USO, but it was in such demand that he never had a chance to type. All of the letters from Lester are written in his fine penmanship on US Navy stationery. 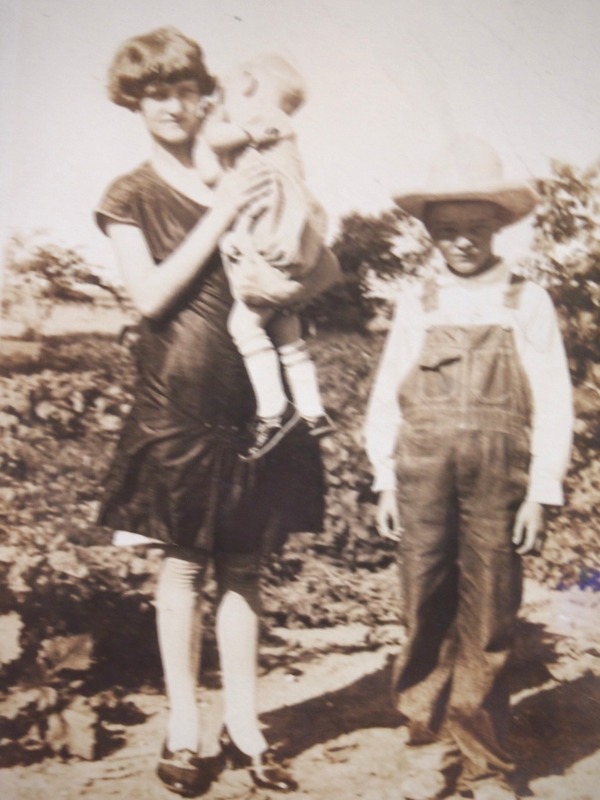 Lester, on right, with his sister Frances and younger brother Wallace. About 1928. I received your letter yesterday & was very glad to hear from you. Yes, I must admit this last letter was easier to read than your first one but I am glad to get either kind. I got the envelopes. Thanks. You don’t need to send me anything else as we can get liberty now that we are in Paradise. Ernest went to Milwaukee with a friend yesterday & went for an airplane ride. The boy is a pilot. It was foggy so they were only up about ten minutes. Charles Miller & myself along with a hundred or so more sailors went to Waukeegan. It is a town of 6,000 a few miles from here. There wasn’t much going on there except at the USO centers. There are five places for the entertainment of service men there but we took in only two of them, the Catholic place & the U.S. O. They have games of all kinds, ping pong, checkers, shuffel-board & pool . I played one game of pool & got quite a kick out of it. They also have reading & writing rooms & dances. 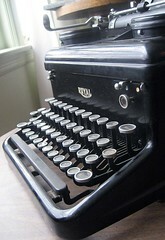 I intended to write you a letter there but the typewriter was always busy. We stayed a while for the dance but left about 8:30 & were back home by 9:30. They have dance instructors there but I didn’t take advantage of them this time. There were about five sailors for every girl present. Everyone had a grand time, no drunks & nice girls who were there for fun & to help the sailors enjoy themselves. The USO is for soldiers also but I saw only one soldier & several hundred sailors. I can’t say for sure that I will be home for the Junior play but according to the schedule I should be there by then. We are hoping that they will either hold us an extra week or grant an extension of leave so that we may be home Christmas but don’t plan too much on that as there is nothing definite yet concerning that. I don’t know if I am still gaining but I am feeling the best I have felt for a long time & I’m quite sure I’m not losing any weight. I have more letters to write so must close now. Most of the boys have KP duty this week but I don’t. Priveleged character, huh?